Kasa Moto, 115 Yorkville Ave, Toronto, Ontario M5R 1C1. +1 647 348 7000 Sprawling rooftop eatery. 12 noon- 3.30pm. 5.30pm-10.30pm. 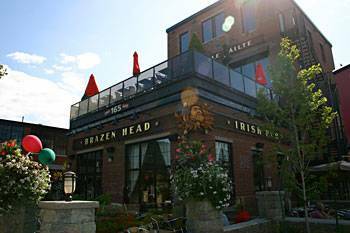 The Bank, 3rd Floor, 66 Dunlop St, Barrie, Ontario. ON L4M 1A4. +1 705 321 5074 Nightclub. Seasonal. 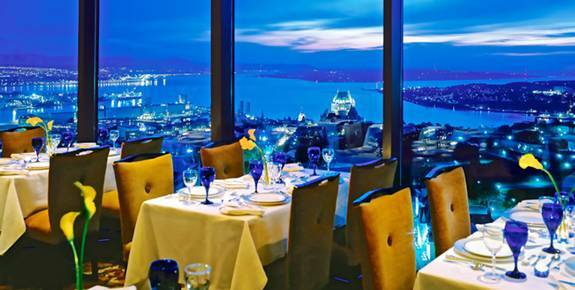 L'Astral Revolving Restaurant, Loews Hôtel le Concorde, 1225 Cours du General de Montcalm, Quebec City, Quebec. +1 418 647 2222. +1 800 463 5256. Breakfast Mon to Sat 6.30am-10.30am (not Sun). Brunch Sun 9am-3pm. Lunch Mon to Sat 12 noon-3pm. Dinner Sun to Fri 6pm-10.45pm. Sat 5.45pm-10.45pm. Panoramic elevator. 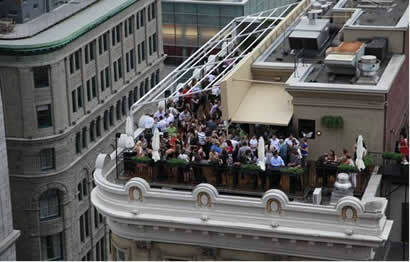 Sky Terrace , 1474 rue Sainte-Catherine Est, Montréal, QC H2L 2J1. +1 514 529 6969 Mon to Sun 11am-3am. 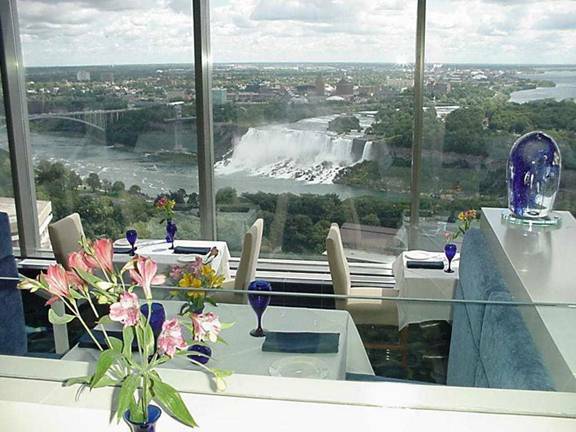 Rooftop terrace with great view. Gay ambience. 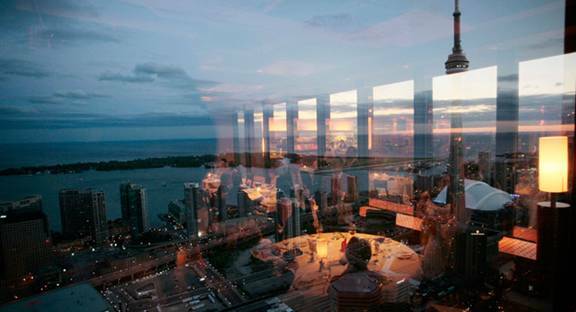 Prarie 360, 30th floor, 83 Garry St, Winnipeg. +1 204 947 1990. 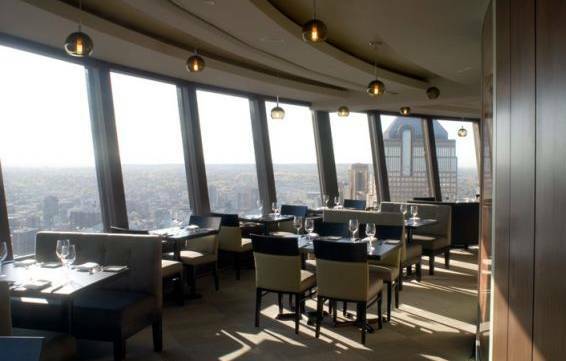 Every table has one of Winnipeg's best views. 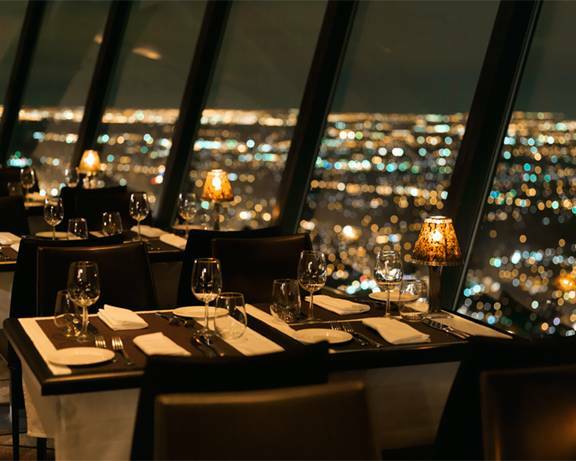 Sky 360 Revolving Restaurant (formerly Panorama Dining Room), at the top of the Calgary Tower, 101 9th Avenue Southwest, Calgary, Alberta T2P 1J9. +1 403 532 7966. You get complimentary elevation to the restaurant with the purchase of an entrée. See hostess at the base of the tower. Lunch Mon to Sat 11am-2pm. Brunch Sun 11am - 2pm. Dinner Sun to Thurs; First Seating 5pm. Last Seating 9pm. Dinner Fri & Sat, First Seating 5pm. Last Seating 10pm. Get off the C-Train at the Hyatt hotel. West Restaurant and Bar, 245 8th Ave SW, Calgary Alberta. Rooftop patio. Roof Patio, Rylie's Cattle Barn, 263-200 Southridge Drive, Okotoks, Alberta. The Battery Hotel & Suites, 100 Signal Hill Road, St. John's, Newfoundland, A1A 1B3. ? Rooftop Patio, Winston's English Pub & Grill, 243 21st Street, East Saskatoon, SK S7K0B7. +1 306 374 7468 ?